"Remarkable results in a remarkable environment." 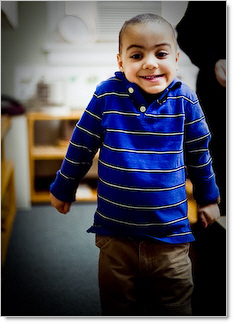 Our students love learning and go on to succeed in grade school, and in life, as independent, adaptive self-starters. As you explore our website, I hope you come to appreciate the warm, caring and inviting atmosphere that Montessori House children, parents and teachers enjoy so much. 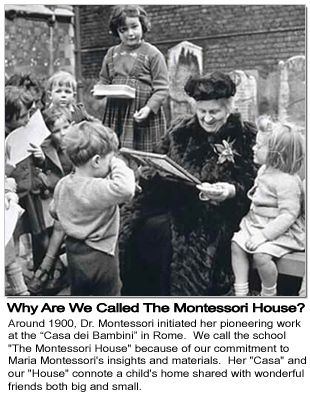 The Montessori House focuses on the education and development of children, not day care. 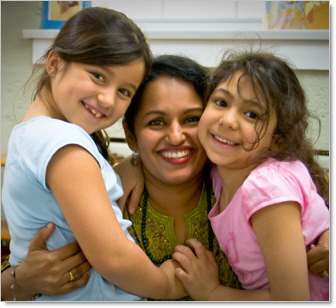 From ages 2-1/2 to 7 all Montessori House students enjoy the benefits of the Montessori Method. For the youngest children (under age 3) we offer our Montessori Stepping Stones program, we phase-in children starting 3 days per week and increasing to 5 days per week. We offer both a full-day option, or half-day morning and afternoon session of Montessori Stepping Stones. In our experience, pre-primary children (under age 5) respond very well to our half-day Pre-Primary Montessori program. In addition, we do offer a full-day Pre-Primary Montessori plus Enrichment program for children ages 3 and 4 which incorporates our half-day Pre-Primary Montessori program. For kindergarten ages (5 and 6) we offer both a Full-Day Montessori Kindergarten program and a Half-Day Montessori Kindergarten program that includes a lunch period. While the Montessori Method defines the classroom experience at The Montessori House in so many ways, we care deeply about your child’s total experience at school, and about your experience as a parent. With a low student:teacher ratio, our teachers can take the time needed to care for and guide each child -- without raised voices -- in class, at lunch, or on the playground. First and foremost, The Montessori House follows The Montessori Method. Dr. Maria Montessori, the first Italian woman M.D., started a revolution in education through her observations of the way children learn. She was the first to demonstrate that children learn best by working with materials that stimulate their senses. Dr. Montessori also discovered that there are natural learning “spurts” for different abilities (reading, logic, art, math, etc.) that follow a defined order in each child’s development. While these occur at different ages for each child, during one of these spurts the young mind is like a sponge ready to absorb all it can of a particular skill or subject. Dr. Montessori found the vast majority of these learning “spurts” occurred during the crucial early years before age 6.